Adobe Photoshop is the most powerful and most widely used software for graphic design and with each release; it is getting more and more effective and powerful as well. For today’s collection, we have put together 50 excellent Photoshop tutorials for CS6. Adobe Photoshop CS6 comes with some additional features that make it more powerful. This is the reason why designing and photography communities highly appreciate the Photoshop CS6. In this round up, we are presenting a list of very useful Photoshop tutorials for CS6. All these tutorials are handpicked and will help you a lot in using CS6 more effectively and professionally. So, without any further ado, here we are presenting the complete list for you. Enjoy! In this tutorial you will learn how to create a Syfy Inspired Logo Animation in Photoshop CS6. Here we will use Photoshop CS6 new and advanced 3D and Timeline features. Learn in this tutorial that how you can create burning metal text with melting effect. Photoshop CS6 is used in this tutorial to create this wonderful effect. This is the introduction to the new 3D capabilities of Photoshop CS6 extended that offers innovative and exciting features so that you can incorporate them into your work. In this detailed tutorial, we will explain how to Create Basic 3D Models in Photoshop CS6 Extended. This tutorial will guide you through the process of creating a chocolate volcano with the help of 3D effects in CS6. This tutorial will guide you through the process of managing layers in a more efficient manner. Learn to create an interesting cookie bite text effect by following this tutorial. Some basic techniques for example using the quick selection tool, layer masks and layer blending options have also been included in this tutorial. Here, in this tutorial the process of using the new timeline as well as some light effect tricks has been described in detail. Let us get started. If you want to paint a furry cartoon character in CS6 then this tutorial is for you. Here, you can learn creating your own swatches from Stock Image. 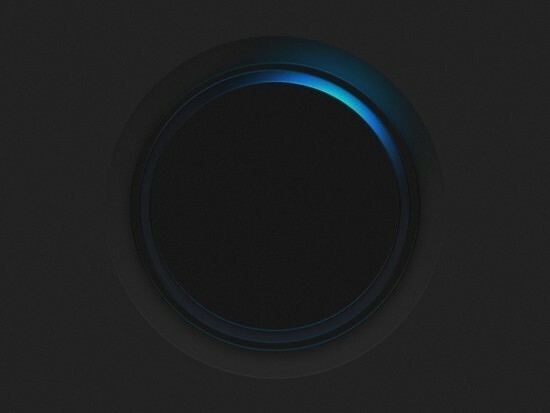 Learn in this tutorial about creating animated buttons that can transform a simple design into something out of the ordinary. With this tutorial, you will learn turning a simple portrait into a complex, colorful and unique piece of art. Masking techniques and adjustment layers are used to modify and blend different resources into one piece. In this tutorial, you will learn you to create a micro machines inspired scene in Adobe Photoshop CS6. You will learn using 3D capabilities of CS6 in this tutorial. This tutorial is about the Wrath of the Titans, and you can create beautiful text effects. This is a bit detailed tutorial so make sure you have 1 to 2 hours before you start following this tutorial. Use Adobe Photoshop to create a post-apocalyptic scene by using manipulation techniques. Stock images have been used in this tutorial. Another detailed tutorial on creating conceptual artwork by using Adobe Photoshop. In this tutorial, you will learn working with perspectives and will get an introduction to the Vanishing point as well. Let us learn how to create burning typography with the help of sparkles effect of Photoshop. Some of the steps discussed in this tutorial are bit tricky but definitely worth a try. 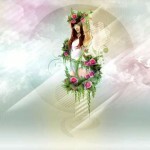 If you want to learn using CS6 for creating wonderful 3D artwork then this tutorial is for you. Here you will learn that how you can create a basic extrusion and then add some old halftone styles to it. With this tutorial, you will get an introduction of the new blur gallery that includes Field Blur, Iris Blur, and Tilt-Shift Blur that you can use in your artwork for adding some special effects. With this tutorial, you can learn how to use paragraph and character styles of CSC6 in a hassle free manner. The new paragraph and character style panel has been discussed in this tutorial. An easy and simple tutorial on designing a retro inspired sci-fi film poster by using Photoshop. Here, you can learn that how you can create a retro-futuristic space poster design with some intense lighting effects and distressed textures. 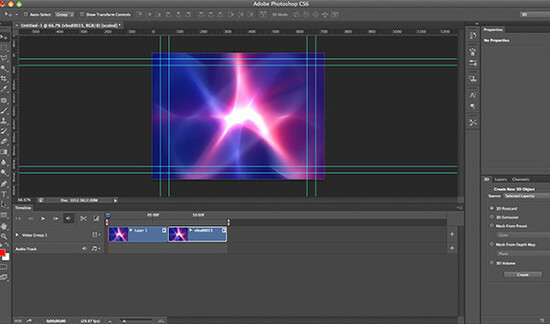 Start creating wonderful 3D animation in Photoshop CS6 by using its Animation Timeline panel. Here, you will get an insight of using these tools and we hope that you will like this tutorial and will start using these tools. Here, you will be taught about the basic knowledge of Photoshop and the 3D feature structure so that you can build an awesome 3D scene in CS6. In this tutorial, you will be taught about the process of creating Apple iOS chat bubbles in Photoshop CS6. Shape Layers and Layer Styles are used in this tutorial to create wonderful graphics. This is a bit detailed tutorial on using the tab key in CS6 to rename layers. This will help you quickly tab through your layers. This tutorial is of beginner level but yet it provides good knowledge about the New Oil Paint Filter in Photoshop CS6. Transform your simple photos into tilt shift photos by following this tutorial. Adobe Photoshop CS6 comes with many brilliant and exciting features and exploring them in the right way can significantly improve your productivity. In this tutorial, we will see how to use new features of CS6 in order to create an administrator dashboard interface. Let us get started with this tutorial that shows us how to create color splash effect in Photoshop CS6. In this tutorial, you will learn how to use adaptive wide angle filter in CS6 in a professional manner so that you can straighten curves and lines in the photographs that were taken with a fisheye or wide-angle lens. With this tutorial, you can learn the complete process of using content aware move tool for the purpose of creating excellent artwork. This tutorial is all about the creation of the hand stitched social media icons for social media websites such as Facebook, Twitter, Google Plus, etc. The Perspective Crop Tool has been introduced with the Photoshop CS6 that has been designed in such a way that it can easily fix some common distortion as well as perspective problems. Learn how to use this powerful tool. Here, you will learn how to use brush painting and layer masking for creating freestyle human portrait manipulation in Photoshop. In this tutorial, you will be taught the process of creating a surreal burning tree scene with falling particle effect. Some new brush sets are used to add the fire burning and falling particle effects. Want to learn working with selections in a more efficient and professional manner then must go through this tutorial. Here, you will learn all the tricks and techniques of creating a tasty cupcake icon in CS6. The whole process has been described with good detail. Use Photoshop CS6 to create a haunted house. Learn all the steps in this tutorial. Now, you can learn how to create a stitched denim text effect by using CS6. Photoshop filters, brushes, and vector shapes have been used in this tutorial. This tutorial will guide you through the process of using CS6 to colorize a black and white image by using curves adjustment layers. This tutorial is about creating Photoshop poster design and you will learn some basic techniques in Photoshop that will be helpful in creating poster designs. Here, you will be walked through the process of creating oil painting photo effects. Oil paint is the newly added special effect that has been used in this tutorial. This is a photographic toning gradients tutorial where you can learn how to use the hidden Photographic Toning gradients for giving your photos a very nice effect. Use CS6 and create beautiful 3D TRON text effect easily. The new and improved 3D functionality of the CS6 has been explored in this tutorial. With this tutorial, you can create a high quality and beautiful 3D Bottle in CS6. By following these tutorials, you can improve your work flow and can enhance your productivity as well. All the tutorials in this collection are professionally designed and will be good resource for you. We hope that you will like this collection. Enjoy and let us know your opinions with us. Enjoy! First one is really outstanding, thanks for showing us that it can be done in PS.